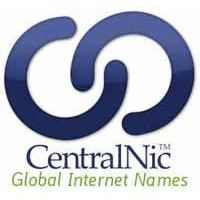 CentralNic Group plc (LON: CNIC), the internet platform business that derives subscription revenue from the worldwide sale of domain names and associated web services today announced an update on trading, the integration of KeyDrive S.A., as well as changes to the Board. CentralNic delivered a solid performance across the Group in 2018, and the Board expects to report results in line with market expectations for the financial year ending 31 December 2018. * Excludes share based payments expense, acquisition costs and exceptional items. The Company has completed a number of integration milestones since its reverse takeover in August 2018 of Germany-based domain names services provider, KeyDrive. The transaction effectively doubled the Company’s size and increased the percentage of revenue attributable to subscription products to c. 90% of total revenue. Since the acquisition, CentralNic has taken the necessary actions to deliver the transaction rationale. The Company has progressed the migration of CentralNic’s largest retail and reseller businesses onto the KeyDrive platform as well as migrating the majority of KeyDrive’s registry clients onto the CentralNic software platform. As a result, the Company expects to achieve c. £1 million of cost synergies in FY2019, in line with initial management estimates. To reflect the integration of CentralNic and KeyDrive as well as to support the Company’s focus on its acquisition strategy, the Company has announced the following changes to its Board. Michael Riedl will be appointed to the Board as Chief Financial Officer with immediate effect. He replaces Don Baladasan who will remain on the Board in a new role as Group Managing Director. Michael was Chief Financial Officer of KeyDrive from 2011 until its acquisition by CentralNic. During this time, KeyDrive revenue grew by more than 200%, both organically and through multiple acquisitions. He previously worked in private equity and mezzanine finance, having started his career with Roland Berger Strategy Consultants. In his new Board role, Don Baladasan will report to the Group CEO, Ben Crawford. He will have specific responsibility for managing the integration of new acquisitions and ensuring cost and revenue synergies are achieved. Don will also be responsible for reviewing current business practice and systems to ensure that CentralNic meets its financial targets. “CentralNic has again proven its ability to successfully integrate acquisitions and achieve its financial targets. We have grown our revenue over twelve times in the five years since we listed on AIM, through our acquisition strategy and organic growth, and we remain committed to continuing our growth trajectory. “2018 showed a significant improvement in our quality of earnings, with the Company making the strategic decision to cease trading in high value premium domain names, and through the KeyDrive acquisition to move to a business model where over 90% of all revenues derive from the sales of subscription products.